Teeth cleaning or dental bleaching is one of the most recommended procedures in the field of dentistry. Without getting teeth cleaning by professionals, most of the patients are not asked to proceed with their dental treatments. This ensures that the treatments of the patients occur in a proper manner without compromising in any form. Teeth cleaning or dental bleaching in Chennai has many parts in itself. One is self-cleaning which can be done at home and the second is the professional dental cleaning which is done by a dentist in the dental clinic. Self-cleaning usually involves brushing the teeth twice daily as well as flossing regularly. Flossing techniques can be learned with the help of dentist. Demos can be asked by the patients to the dentist in order to learn the right technique. Professional dental cleaning is done with the help of scalers which can be scaling done manually or ultrasonic scaling. Manual scaling is recommended for the cleaning of the teeth when the plaque is present on the supragingival part of the teeth. In case the plaque is present subgingivally, then the ultrasonic scaling is done by the dentists. Regular cleaning of teeth prevents many types of gum diseases in the patients which ensures that the patients can have healthy gums for a long period of time. This makes the dental health of the patients aesthetically as well as functionally sound. In this way, teeth cleaning is of great benefit for every individual. 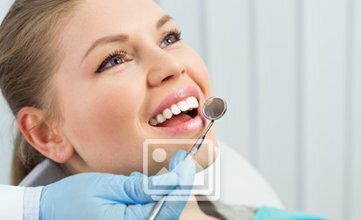 Care must be taken by the patients that they do brushing and flossing in a proper way to avoid harming or damaging the gingiva around the teeth as it can lead to loss of gums around the teeth thereby leading to the weakened tooth structure therefore leading to untimely loss of teeth in the individuals mouth. Thus, regular teeth cleaning is the best for maintaining good oral hygiene.